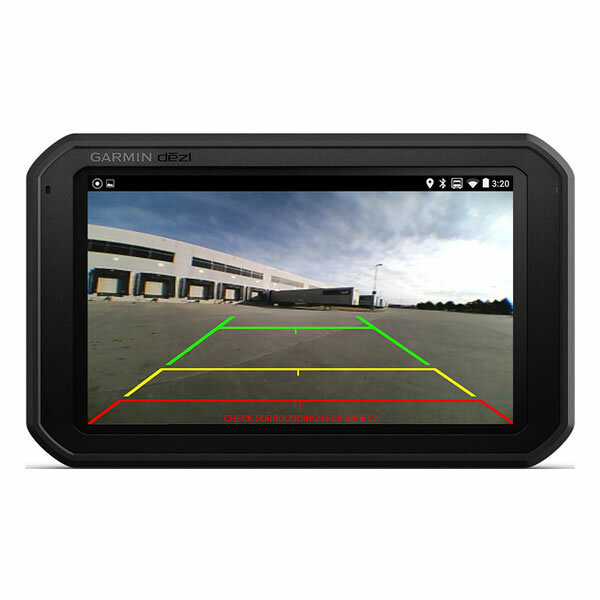 Garmin dezlCam 785LMT-D truck sat nav features a built-in dash cam and is preloaded with UK and Full European maps and Digital Traffic Information. The maps are free to update for the lifetime of the product and the traffic information is subscription free. The dezlCam 785 features a large 6.95-inch screen and the speaker has been enhanced for louder, clearer voice instructions. The dezlCam 785 also features WiFi and Bluetooth technology for maps and software downloads and handsfree calling. The Garmin dezlCam 785LMT-D allows you to enter the profile of your truck and then the satnav will only route you along suitable roads for your vehicle. Points of interest specific for truckers such as truck stops, weigh stations, parking, lodging, WiFi connection hotspots and more are included. 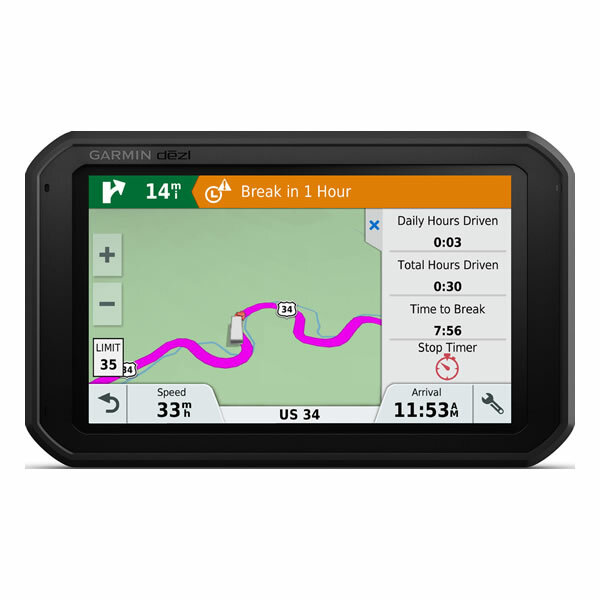 Multi-stops can also be entered in to the Garmin dezlCam 785LMT-D plus you can enter roads and cities you would like to drive include along your journey. 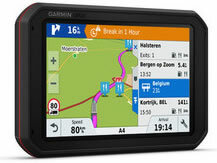 The Garmin dezlCam 785LMT-D is a truck satellite navigation system with an impressive 6.95-inch colour touch screen. The dezlCam 785 also includes a built-in dash cam. A powered-magnetic suction cup mount secures the Garmin satnav to the windscreen. Lifetime UK and European mapping is provided for FREE for the lifetime of the product. You can enter your vehicles size, load and weight of your truck and you will then be routed avoiding low bridge heights, sharp curves, steep gradients, weight limits and more. You can also save different vehicle profiles and then change truck profiles at the touch of a button enabling quick change-overs between different vehicles. Traffic information is available 24/7 FREE for the lifetime of the dezlCam 785LMT via cigarette lighter adaptor with embedded digital traffic receiver. Traffic information is provided by DAB (Digital Audio Broadcast) channel. Alternatively, you can use a smartphone link which provides live services via a compatible smartphone with app, charges apply for this service. 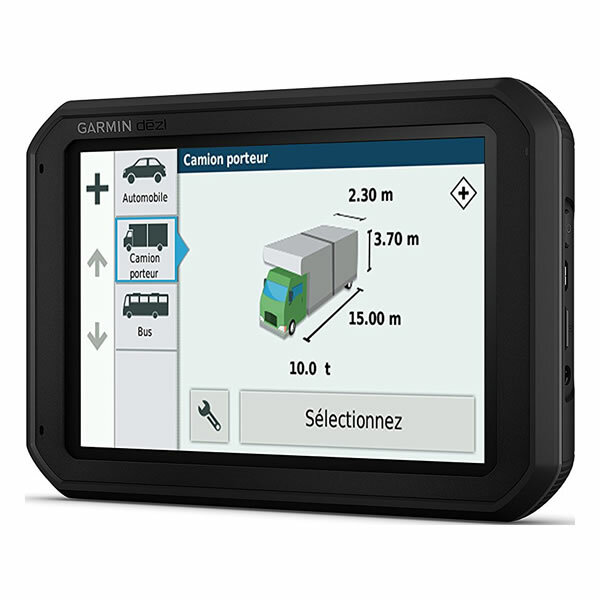 For delivery drivers using this Garmin truck sat nav there is a feature that allows dispatchers to easily text messages and addresses to their drivers and track driver routes from beginning to end of journey(s). Points of interest appropriate for trucks are also provided in the Truck and Trailer Services Directory. Points of interest include food, fuel, rest areas, showers, ATMs, Wi-Fi and more. Search and filter truck stops by preferred amenities - showers, fuel stations, WiFi, truck wash, etc. Service History Log can also be saved to the device to keep track of tyre milage, tyre pressure, oil changes, tyre changes and more. Connection to a iPhone or Android smartphone provides you with real-time information such as traffic, safety cameras, weather information and more. The dezlCam 785 features Bluetooth and WiFi. 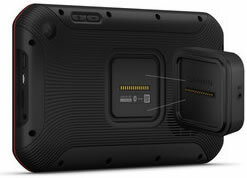 Bluetooth is for hands-free calling whereby there is an integrated speaker and microphone. You can also see smart notifications for calls, texts, app alerts and more all of which appear on the sat navs display. The built-in WiFi connectivity makes it easy to download maps and software without the use of a computer. You can also control the dezlCam 785 by voice commands making it easy to use. The dezlcam 785LMT-D includes a dash cam for recording events in the road ahead. Optional GPS overlay records GPS location, speed, date and time. This is useful information as it provides recorded evidence of where and when an incident occurred. Furthermore, incident detection (G-sensor) automatically saves footage on impact. You can also manually save footage with touch of a button. The built-in camera can also be used to take photos with the unit which is easily detachable from the magnetic mount. Forward collision warning and lane departure warnings are also included. As an optional dezlCam 785 accessory you can add a backup camera as the dezlCam 785 is compatible with the Garmin BC 35 reversing camera to provide a view behind your truck. dezlCam shows footage on the navigation display to help when reversing your truck or lorry. Do you have a question about the Garmin dezlCam 785 that's not been answered on this webpage? Please see our sat nav FAQs for questions from other customers and visitors. Plus if the answer to your question isn't featured, use the online form to ask us for the answer. Alternatively please telephone 01733 777623 Monday to Friday (9:30am-5:00pm) to speak to one of our sales team. Garmin dezlCam 785LMT-D is powered via the supplied 12/24 volt vehicle power cable, the unit is then mounted on the windscreen via the supplied suction cup mount. Alternatively fix to the dashboard using the the supplied screw down mount for fixed dashboard installation. We do not recommend using a third party charger with this product. A mobile phone USB charger or a laptop may not be powerful enough to reliably charge the Garmin dezlCam 785LMT-D and may provide an incorrect voltage or insufficient power. An official genuine Garmin AC charger is available for indoor use with this product you can view and buy here. 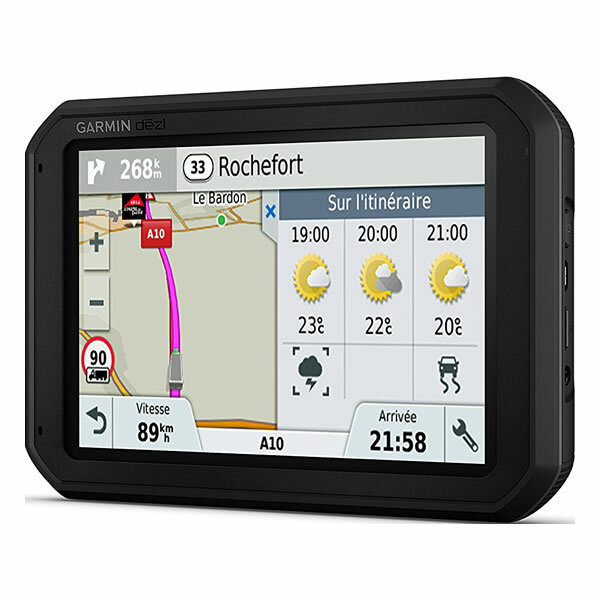 Garmin dezlCam 785LMT-D comes preloaded with detailed City Navigator street maps for Europe provided from map supplier 'here'. Rolling screen transition, accelerated map redraw and routing capabilities make screen zooming even smoother and ensure the navigation always matches your pace. If you'd like to buy additonal maps for another region e.g. North America or Australia and New Zealand. These can be viewed and purchased via the dezlCam 785LMT map page. Looking for accessories and spares for the Garmin dezlCam 785? 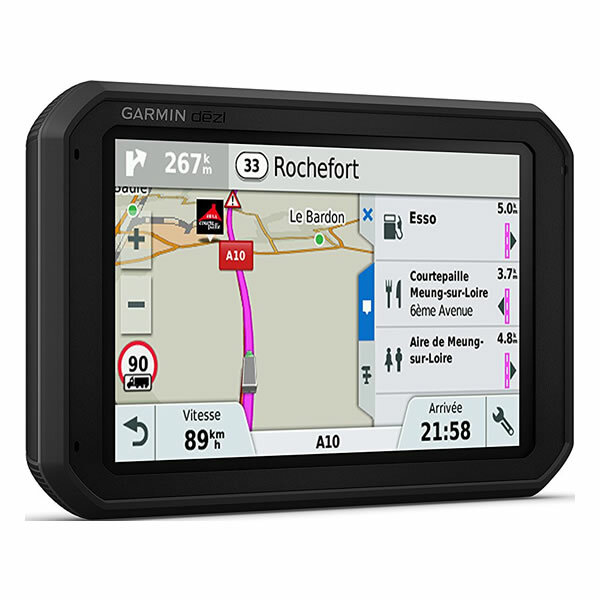 All parts are genuine Garmin product and specifically designed for use with the 6.95-inch dezlCam 785 truck sat nav. Parts include a vehicle reversing camera. 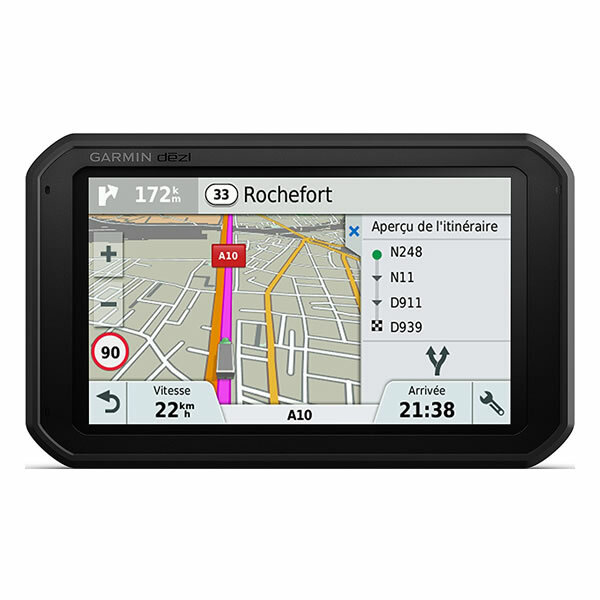 Looking for sat nav maps for the Garmin dezlCam 785LMT-D? 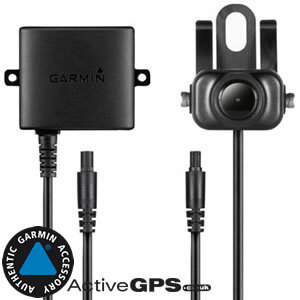 All mapping comes on microSD card with SD card adaptor and is a genuine Garmin product. Areas available to buy include: Southern Africa and Middle East and Northern Africa. Question: Why do you advertise to buy maps for the garmin 785 truck sat nav when map updates are free? Answer: The Garmin dezlCam 785LMT-D is sold around the world (the version we sell is preloaded with UK and Europe lifetime maps), we also sell around the world. People visiting the UK/Europe from outside Europe buy UK and European maps for the dezlCam 785. Equally, people living in the UK and Europe buy overseas maps e.g. North America for use with their Garmin dezlCam 785. That's the reason we list and sell all dezlCam 785 compatible maps. Do you have a question about the Garmin dezlCam 785? Submit your question via our contact page.